This blog provides information related to a research undertaken at the Centre for Business in Society at Coventry University. The inital remit of the blog ws to support a funded project which sought to to explore the role of cafés in urban spaces – Spaces of Community: Exploring the Dynamics of the UK Cafe Industry –although the research area has since expanded to other areas of the coffee and coffee shop industries, in particular coffee and the circular economy – From the Grounds Up: The Coffee Shop Industry and the Circular Economy. While the first study project had a focus on the UK coffee shop industry, and the second on the UK and Germany, this blog takes a broader perspective of the coffee and coffee shop industries with articles that reflect their truly global nature. Essentially ‘cafespaces’ has become a space for me to consider all the interesting things happening around coffee and coffeeshop that I can’t fit into just one project. The aim of the study was to explore the development of the café industry, and understand the role of different types of cafés in a range of urban spaces. Specifically the study seeks to examine not only the economic impact of cafés on surrounding areas, but the importance of cafés for different communities and cultures. How and why cafés have developed? What role cafés play in communities? How are café spaces used? In what ways do cafés engage with the community? To what extent can cafés act as community hubs in urban spaces? Ferreira, J. (2016) ‘The third wave and the transformation of urban centres’ in Pilgrim, D (ed). Coffee Shop North. Ferreira, J. (2016) Minutes on the lips, a lifetime on the tip: the coffee cup waste mountain. The Conversation 29/07/2016. Ferreira, J. (2015) How the third wave of coffee shops is tranforming high streets. The Conversation. 27/07/2015. Ferreira, J. (2017) Spaces of Community: Exploring dyanamics in the cafe industry. Coventry: Centre for Business in Society, Coventry University. This study aims to explore how businesses and consumers can engage in the circular economy, the facilitators and inhibitors for doing so, and the importance of these actions for sustainable economies and societies. The UK and Germany are used as two case studies for exploring how and why the coffee shop industry takes part in the circular economy. To what extent is the circular economy evident in the coffee shop industry? In what ways do businesses and consumers in the coffee shop industry engage in the circular economy? What are the enablers and inhibitors for coffee shops and their consumers to adopt circular economy practices? What impacts can engagement with the circular economy have for coffee shops and its consumers? 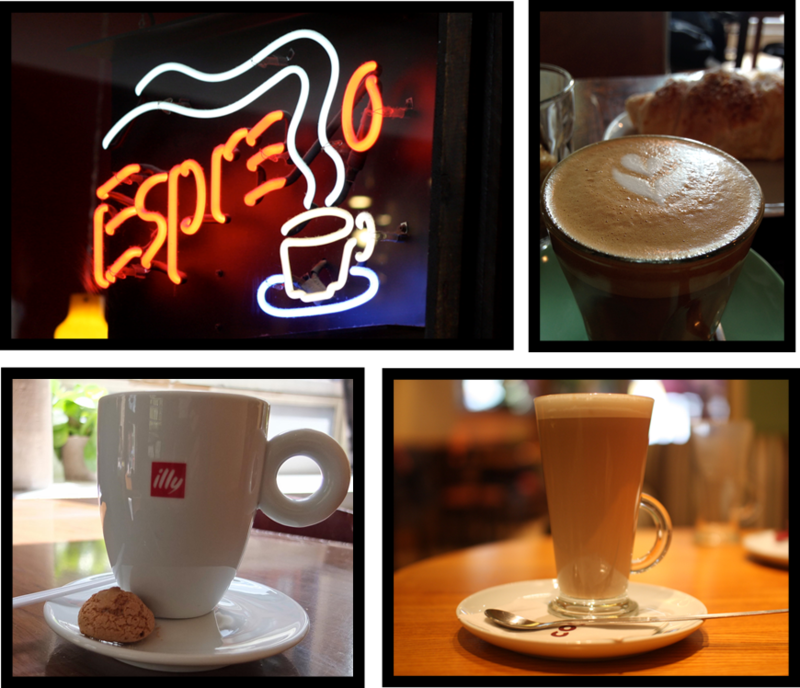 I’m always interested to hear about new cafés, developments in the café industry and in general about the various elements of café culture – so please do get in touch if you have any ideas, or want to discuss the research. Disclaimer: This blog is designed to complement the work of the author on a research project but posts reflect the authors opinions, and not those of the author’s employer.